Ricardo is today publishing a strategic white paper setting out the company’s vision for a future in which Connected and Autonomous Vehicles (CAV) provide the foundation of a paradigm shift in mobility and transport in the world’s modern industrialized economies. The realization of the benefits of vehicle automation – from improved safety and user convenience to reduced urban congestion and better asset utilization – is, argues the paper, coming much faster than many automotive industry observers have predicted. The automation revolution coming to mobility and transport by 2025 is based on the experience, knowledge and skills in CAV technologies developed by Ricardo’s vehicle and powertrain experts and strategic consulting teams, through their work in all major developed and developing markets – from China to Silicon Valley. The paper makes the case that many of the key technical challenges perceived as impeding CAV roll-out have already been overcome, particularly as battery electric vehicles begin to form a larger proportion of the in-use fleet. But rather than merely offering a pathway to automating driving tasks within the established model of transportation, the paper makes the case that CAV will act as an enabler for a future in which ‘Mobility as a Service’ (MaaS) becomes the dominant commercial model for personal road transportation. As such, the developments in CAV automotive technology will have strong synergies with web-based apps offering multi-modal integrated travel solutions and per-usage or service level based billing to individual user accounts. 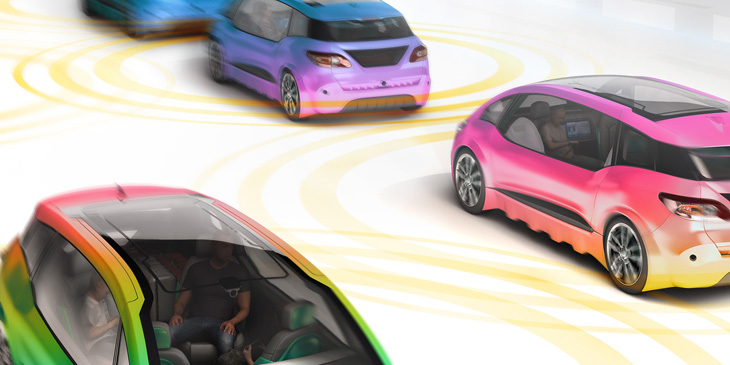 The paper sets out the potential applications of CAVs and how they could enable this new MaaS-based personal mobility of the future, including the kind of commercial models that would be required. The various systems and components that are typically used or have been proposed for CAVs are outlined, and a detailed description of the long haul platooning of heavy trucks – potentially one of the nearest to market of the major commercial CAV applications – is provided. The paper concludes by setting out Ricardo’s vision for the development from the decade beyond 2025 of fully automated solutions for widespread deployment.